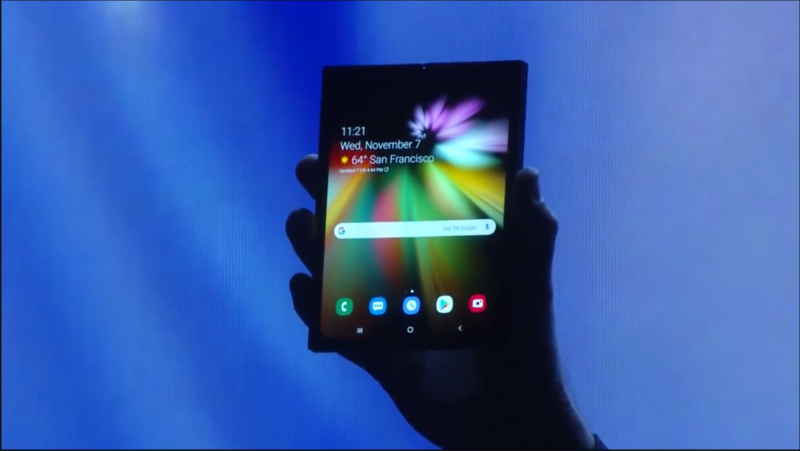 Samsung’s foldable phone has been a step into the future with the unveiling of the new fold-able smartphone. 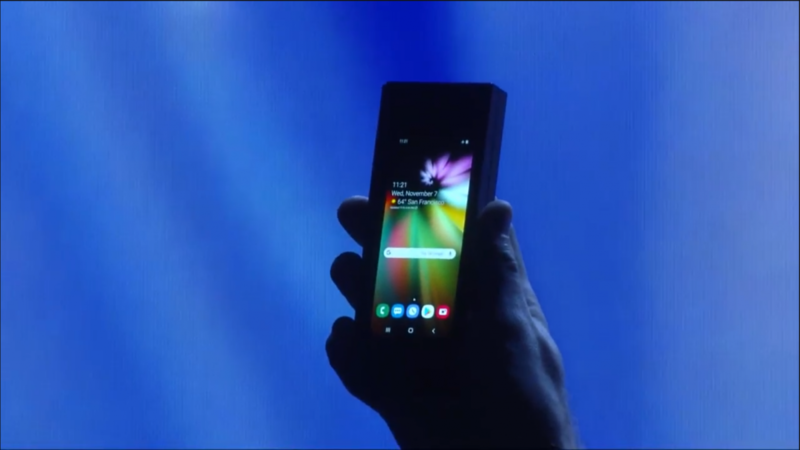 The Tech Giants took to stage during the SDC( Samsung developers conference) to update us with tidbits regarding the phone. Although the finished product was not displayed, some specs about the screen and software were disclosed. Samsung has managed to create a super thin AMOLED screen that can “be folded a hundred times”, though this may an exaggeration. Good news is that mass production will commence in a few months. When folded, a 4.6-inch super AMOLED display delivers its content to the user. Whereas when unfolded, a 7.3-inch super AMOLED display is present to greet you. Another question that most people have in mind regarding the new phone is the way the apps will work and transition between the secondary and main display. In order to achieve this, a new “screen continuity API” has been declared that will help in the seem-less transition. Another advantage of the increased display is the fact that you can simultaneously run up to 3 active windows. They are calling it the “Multi-Active Window”. WHAT DOES THIS MEAN FOR THE DEVELOPERS? Samsung realizes that this new landscape will mean that developers need to get accustomed to it, thus keeping this in mind has created an SDK emulator that will help in testing the app. Apart from that, they will be providing strict guidelines for the developers as well as hosting a developer session. Previous articleTracing down the creator of infamous Momo challenge. "what are you without the suit?" "Avid reader, writer. musical fanatic. struggling engineer . lowkey basketball lover. oh and dead from inside" ":_:"